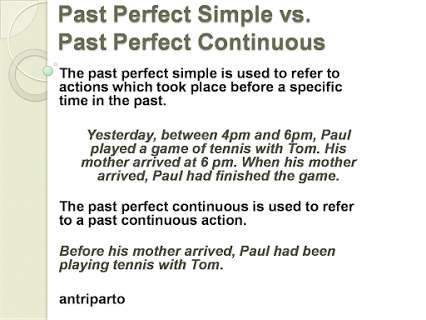 Use PAST or PAST PERFECT Tense simple. Tim ( GO ) to bed early last night because he ( NOT SLEEP ) well the night before. After putting the letters into the mailbox Mary ( REALIZE ) that she ( NOT PUT ) a stamp on them.... Use PAST or PAST PERFECT Tense simple. Tim ( GO ) to bed early last night because he ( NOT SLEEP ) well the night before. After putting the letters into the mailbox Mary ( REALIZE ) that she ( NOT PUT ) a stamp on them. They all the new words. They needn't worry about the test. (to learn) Three people him in hospital last Friday. (to visit) Martin for 50 miles on scenic routes three weeks ago.... Use PAST or PAST PERFECT Tense simple. Tim ( GO ) to bed early last night because he ( NOT SLEEP ) well the night before. After putting the letters into the mailbox Mary ( REALIZE ) that she ( NOT PUT ) a stamp on them. 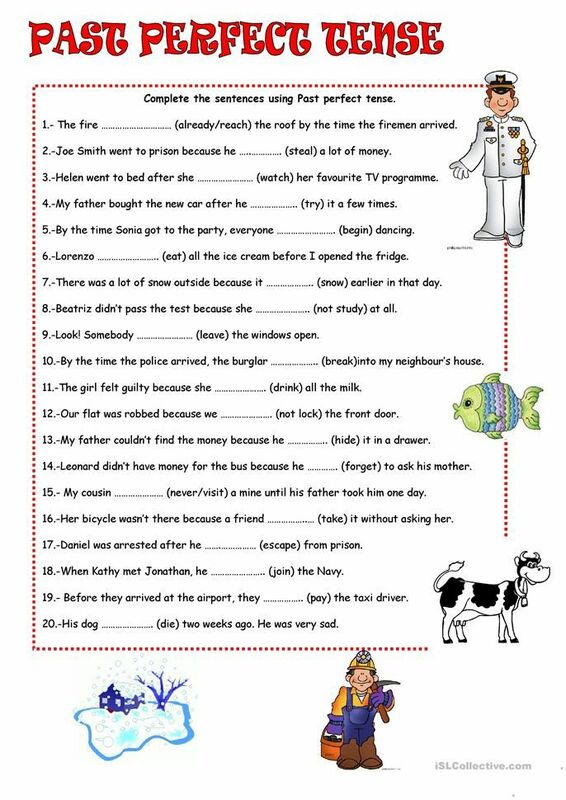 Use PAST or PAST PERFECT Tense simple. Tim ( GO ) to bed early last night because he ( NOT SLEEP ) well the night before. After putting the letters into the mailbox Mary ( REALIZE ) that she ( NOT PUT ) a stamp on them.